Negotiations on trade facilitation were concluded at the WTO 9th Ministerial Conference in 2013, and the Agreements on Trade Facilitation (TFA), therefore, became the first fully multilateral agreement in WTO history. Since then, trade facilitation has been in the limelight on the stage of the world trading system. During recent years, the TFA has been consistently on the agenda of the summits of G20, G7, and APEC. The Agreement has come into force and shall be implemented on a global scale. As a result, the WTO members shall be prepared to translate the Agreement into their domestic legislation, which will involve a series of reforms in trade laws and policies. There are extensive voices demanding a comprehensive expatiation on trade facilitation and the TFA. 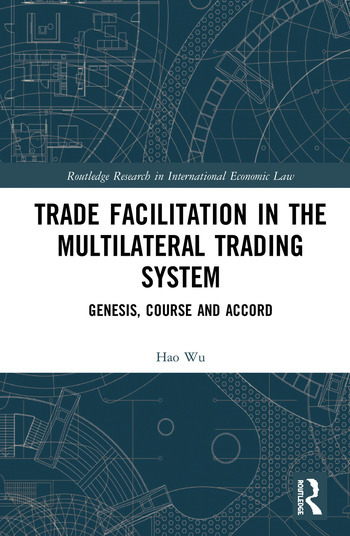 It is essential to systematically delve into the genesis of trade facilitation, revisit the course where the TFA came into being, and analyse the well-turned legalese of the TFA. This book meets this demand. This book is path-breaking in these aspects: it expounds on the rationales for trade facilitation and the significance of constituting an international accord on trade facilitation; it restores the one-century track of the international community’s talks on trade facilitation, from the times of the League of Nations to the WTO era; it reveals how the WTO negotiating mechanisms enabled the TFA to be nailed down, which would be enlightening for trade diplomats engaged in other WTO negotiations; and it provides an in-depth commentary on the TFA articles, which will help stakeholders more accurately understand and implement the Agreement. This book will be especially valuable for government officials and policy-makers, trade practitioners, lawyers, advisers, and scholars interested in international economic law, WTO law, international trade, international relations, and international development studies. 2.1 What after the cuts of tariffs and NTMs? 3. An international accord on trade facilitation? 3.3 A renovated accord for today? 3.4.1 Where is the suitable institution to administer this accord? Hao Wu is currently working at the World Customs Organization (WCO), Belgium. Prior to joining the WCO, he served as a trade negotiator on the WTO Trade Facilitation Negotiations for a number of years.